Belle Gunness was born in Selbu, near Trondheim, Norway as Brynhild Paulsdatter Storseth on 11 November 1859. Her early life remains a mystery as she told many varying stories of her origins. In 1883 she arrived in America and the following year married Max Sorenson, a fellow Norwegian. They opened a sweetshop in Chicago but it was not a success and was razed in a mysterious fire a year later. Using the insurance money, they moved to Austin, Illinois, where they started a family. In 1898 their house burned down and they received another insurance payout and bought a farm. Her situation changed on 30 July 1900 when her husband died and Belle sold the farm for $100. She collected $8,500 in insurance money but her husband’s family thought that Belle had murdered him. Using the insurance money, Belle bought a farm outside La Porte, Indiana, and moved in with her three daughters. On 1 April 1902 she married Peter Gunness, another Norwegian, and a week later his baby daughter died. In December Belle was widowed when an axe accidentally fell off a high shelf and embedded itself in Peter Gunness’s head, killing him. Several men replied and Belle asked them for $5,000 to show their honest intentions. None of the suitors was ever seen again. In December 1907 Andrew Helgelien (some sources say Holdgren), a bachelor farmer from Aberdeen, South Dakota, wrote to her and in January 1908 they met after she wrote to him, “To the Dearest Friend in the World: No woman in the world is happier than I am. I know that you are now to come to me and be my own. I can tell from your letters that you are the man I want… My heart beats in wild rapture for you, My Andrew, I love you. Come prepared to stay forever.” Andrew’s brother contacted Belle but was told his brother was not with her so he decided to visit to see for himself. Before he could arrive, the Gunness farm burned down on 28 April 1908. 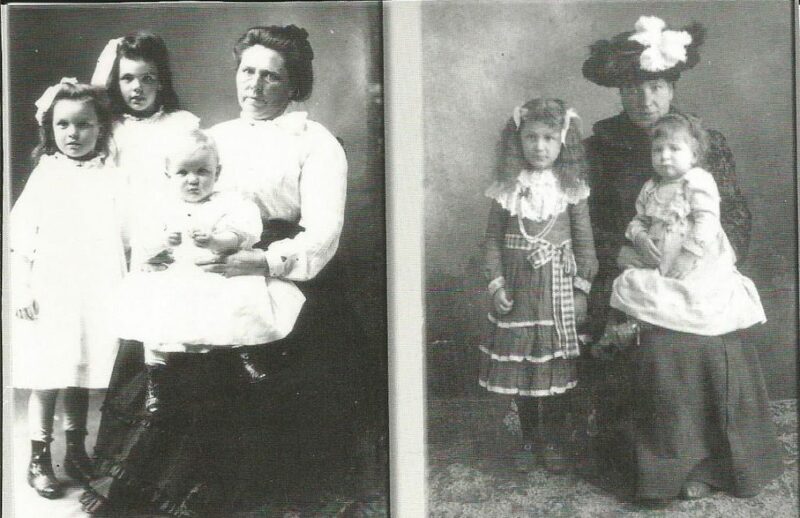 Four corpses were found – one without a head, later identified wrongly as Belle Gunness and her three children. The head was never found. On 23 May 1908 farmhand, Ray Lamphere, was indicted on four counts of murder and arson, but was only convicted on the arson charge. He died in prison. The authorities searched Belle’s farm and found 13 bodies, all neatly chopped up and parcelled. The whereabouts of Belle Gunness remained a mystery.